When you take up driving professionally, you become responsible for many people who are dependent on you in some way or the other. There are certain rules and regulations that you must follow and implement while driving a vehicle professionally. There are several training institutes and training programs available that can teach you to drive in a professional yet responsible and skillful manner. 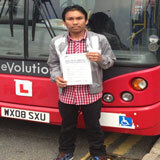 If you are in search for such a driving institute, do consider GP training in Enfield, London. 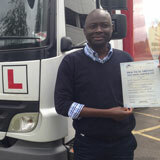 The LGV/ HGV training: this training is meant for the larger sized vehicles and also the heavy goods vehicle. It is meant for the rigid vehicles only and depends on the specifications of the weight of the vehicles. Some of the categories under this section of training are C1 – license, C1 + E license, C1 + E – 7.5t + trailer, C up to 32 tons and C + E truck and trailer. 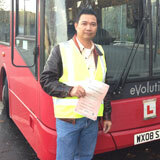 The PCV training: it is meant for the passenger carrying vehicles. It also depends on the number of passengers on board, apart from being in the section of articulated vehicles and some of the sub categories are the D1, D1 + E minibus & trailer, D automatic bus, D manual coach, D + E coach & trailer. Of the above mentioned categories, the first two categories belong to the manually operated vehicles. 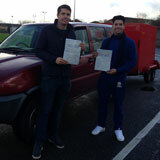 The B+E car and trailer training: this training is specially meant for those vehicles that are meant for towing. There is a special format for the towing vehicles, known as Maximum authorized mass or MAM. If the weight of the vehicle is more than the maximum limit of MAM, you have to obtain the B+E license and if it is well within the limits of the MAM, you need the B license. Finally, there is also the driver CPC training: this is a certification course for the professional competence and any professional driver must furnish this certification along with the LGV and the HGV training certifications. 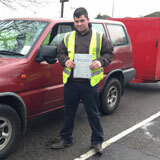 To pass the CPC theory test, you can obtain help in the form of driver CPC modules and the CPC case studies. There are certain modules like the driver CPC modules 4 and 2 which can be of immense help to you. There are some advantages of joining us at GP training, Enfield, London. For instance, you can avail the services of Pass protection and the PCV pass protection. These services enable you to sit for the driving test again if you happen to fail in the first attempt. Besides, there are some great advantages like you can follow the course instruction in the language of your choice. The training, the class room coaching and also the theory books are all available in various different languages other than English. 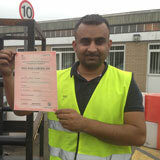 Even the trainers who are associated with us are also multi lingual and they are also approved by the DSA. Since driving professionally involves a lot of traffic rules obedience and implications, the courses of GP training are designed in such a manner that they are in equal proportions in terms of theory and the practical lessons. It is also to be noted that the vehicles that are used for the purpose of training with us at GP training are all state of the art and latest in terms of the features loaded in them. For instance, they are all equipped with the dual access controls which enable you to have a risk free training in driving lessons. The trainers also have the controls of the vehicle and thus there is absolutely no chance of any kind of road accidents and mishaps while you are in the mode of training. While you are applying for a valid driving license in order to ply on the road professionally, you also require furnishing certain documentation regarding the same. For instance, there are certain forms that you must fill up and submit to the concerned authorities. We at GP training in Enfield, London ensure that you get complete assistance in filling up of the forms and we also take care in sending the completed forms to the DVLA. There are also many other services that you can avail from us. You can also ask for a money refund in case you are not happy with the training program and want to change the category mid way through the training. 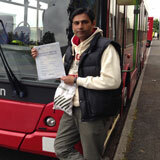 For more details, please make a visit at GP training, Enfield, London.